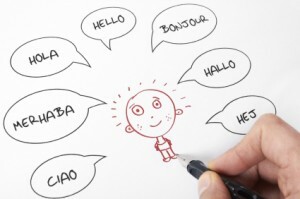 If you’ve ever traveled to a foreign land, you know how important it is to “speak the language”. When I was in college, I spent a winter term in Japan where I not only didn’t speak the language – but I couldn’t even attempt to read the signs that surrounded me. Fortunately or maybe foolishly, I was young enough and naive enough to not recognize how truly terrifying an experience that SHOULD have been for a 21 year old woman abroad. In Jakob Nielsen’s Alertbox for February 4: Teenage Usability: Designing Teen-Targeted Websites, web developers and marketers alike are warned that “speaking the language” isn’t enough to get the job done when it comes to connecting with teens via the web. This is why I am a strong advocate of the “tightly targeting your niche market” strategy for my blogging clients so that when you’re blogging you can communicate effectively with your audience. However, when you “don’t know what you don’t know” – that’s often when the truly EPIC mistakes are made when you don’t speak the language. I spend most of my time within my practice translating “geek” into “English” for my clients. Translation is just as much an art as it is science.. If you don’t believe me, just try running phrase you’ve entered into a translation program by a native speaker of the language. It’s positively alarming how distorted a message can get when it’s run through one of the many “free” translation programs available online. Case in point, trying to translate English into Hebrew. There’s a site devoted to just such faux pas called Bad Hebrew. 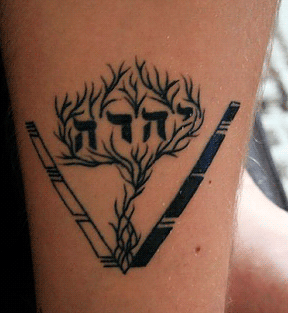 One of my favorite posts is this one, Bad Hebrew Tattoos. For all intents and purposes, we have here some kind of pagan male pregnancy totem. 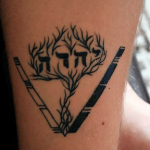 First, there is the writing, a declaration, “He Shall be Pregnant!”, in Hebrew, permanently tattooed on our subject’s limb. You can also see a bush, obviously representing an invitation to the spot at the local gay cruising park, where this guy conducts his baby making attempts. Since this isn’t tattooed on myself or a loved on – I can laugh. However, the point is – translation involves a lot more than simply using the “right words” to convey a message. Big brands have been making these kinds of mistakes for decades – but now the web affords the same “equal opportunity” to small and medium sized business owners as well. The lesson to be learned is this: If you don’t know your audience – if you don’t speak the language – nothing beats consulting a “native” to make sure you get the right translation.